Complete this interactive specification form and return it to sales@cmpionline.com to receive pricing and information for your bollard project. 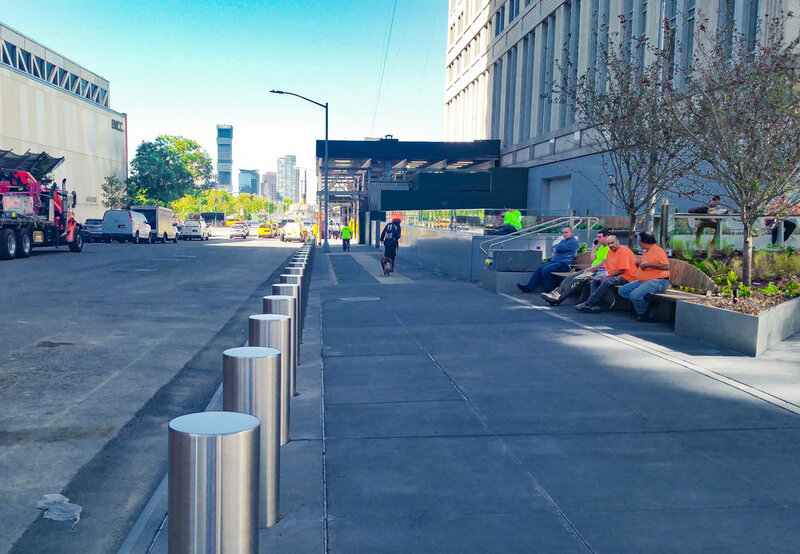 Bollards are a crucial component when a site needs to deter vehicle traffic in areas with enhanced security requirements. protect people & property AND ENHANCE your facility's appearance! 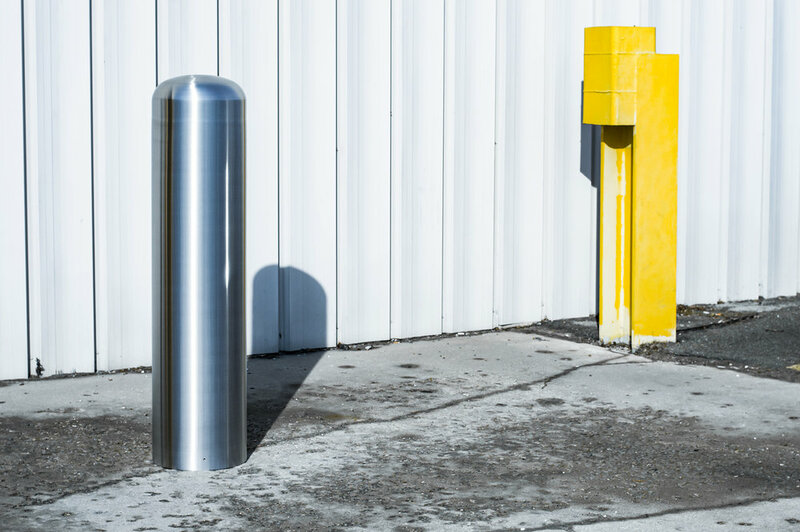 CMPI offers stainless steel bollards and bollard covers (sleeves) in a variety of sleek designs that make a great fit for all types of architectural projects and properties that need enhanced security that won't become an eyesore. 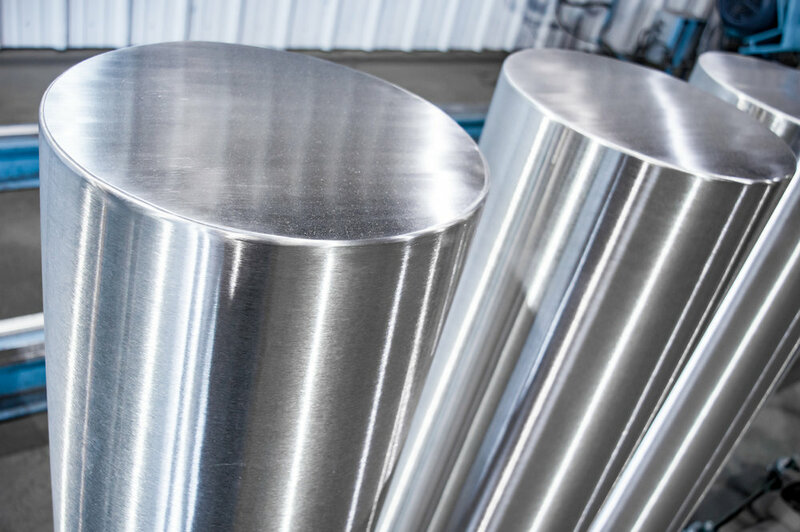 Stainless steel will resist rust and corrosion while maintaining a clean and new appearance for years to come. 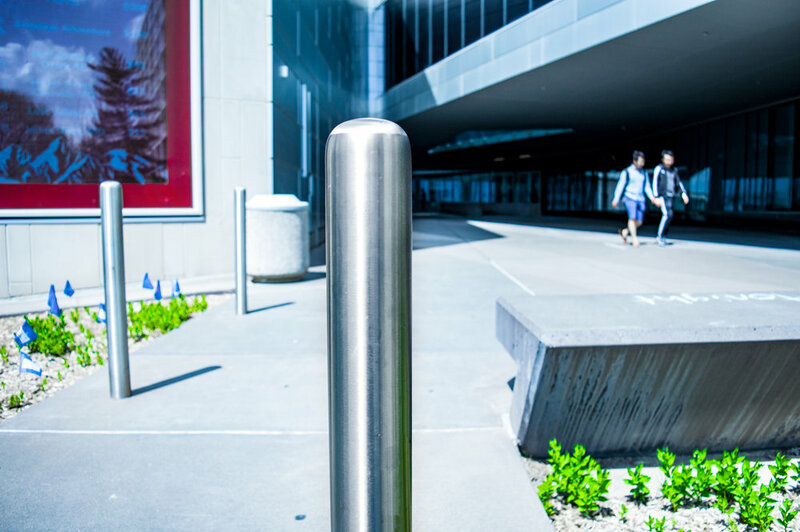 Whether for security purposes, a decorative effect, or both, our bollard products are a stylish choice and can be constructed to any specifications and shapes that you require. Looking for a custom design , featuring lights, special fabrications, or other unique features? WE CAN DO THAT. CUSTOM IS IN OUR NAME. 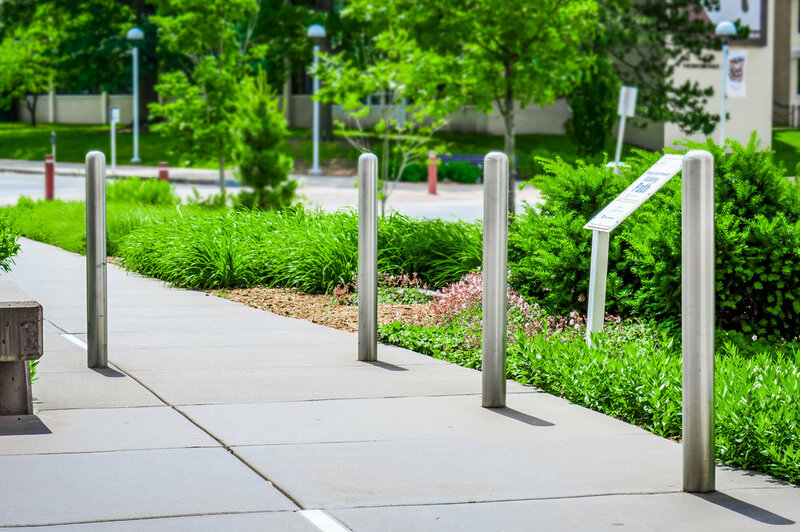 — Patrick Duwe - VP of Northbrook Contracting Corp.
For more information about various styles of bollard products that we produce, scroll down for specific details and product photos. 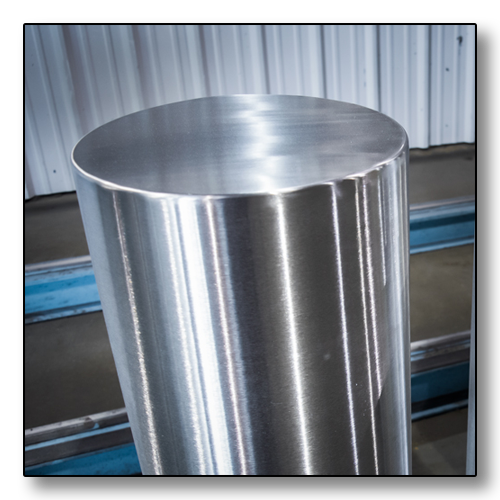 We provide individual bollard design and fabrication for every customer. 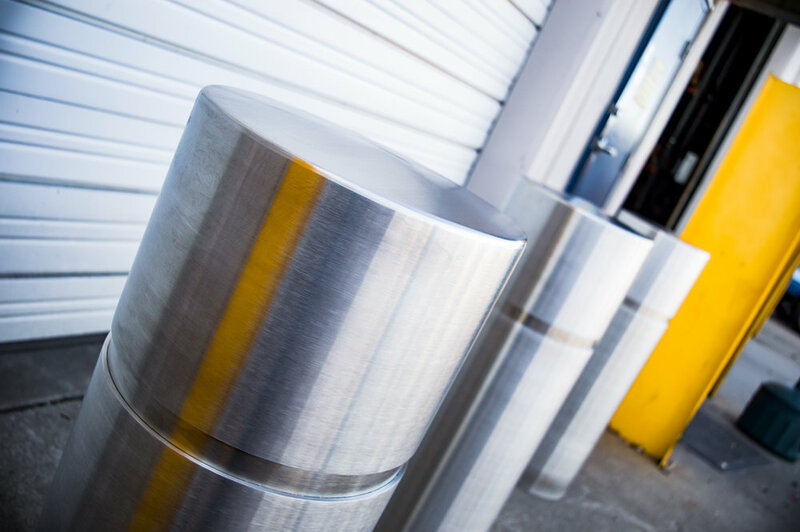 Give us a call today and our estimating department will examine your requirements to help you find a customized bollard solution. Get a quick quote for custom bollard covers today! 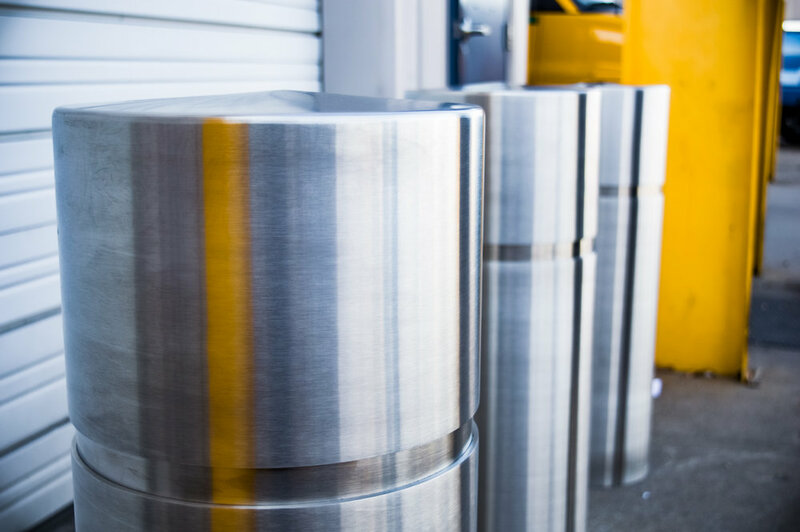 Easy to install and remove, these bollards will not disappoint! A stylish choice for high security areas with restricted vehicle access. 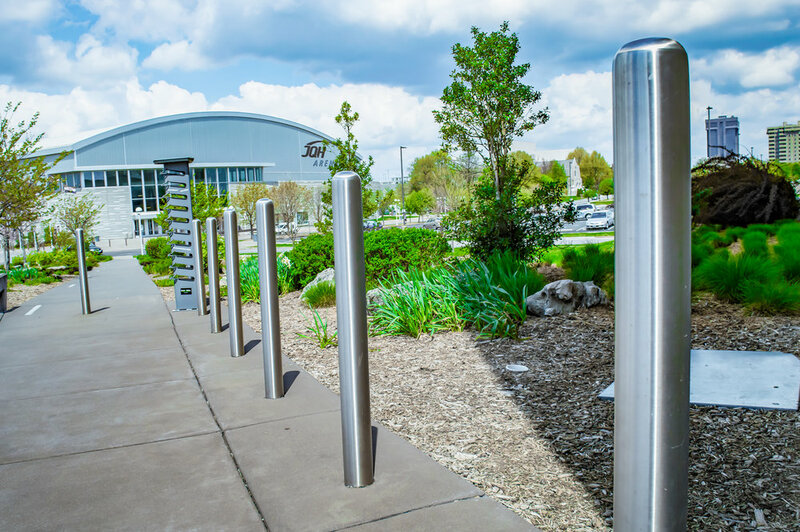 Illuminate and protect your site with custom LED bollards! We want to find a perfect custom solution for you. We also offer basic options and can help you design a perfect fit. 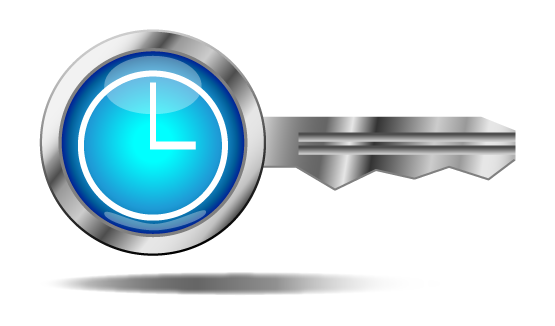 Our variety of services save you time and money! Our design department can help you figure out the best fit for your needs. 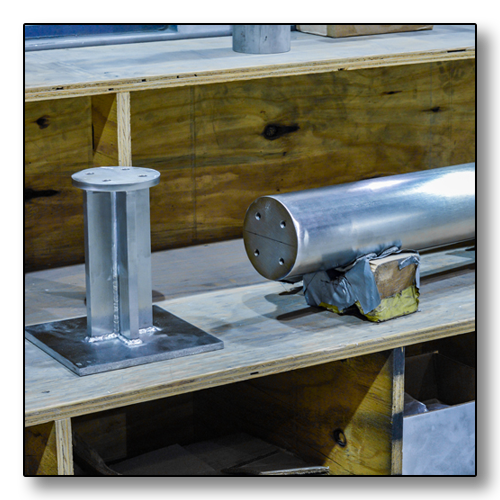 We can procure low price material and provide high quality polishing, and fabricate your entire product in-house. 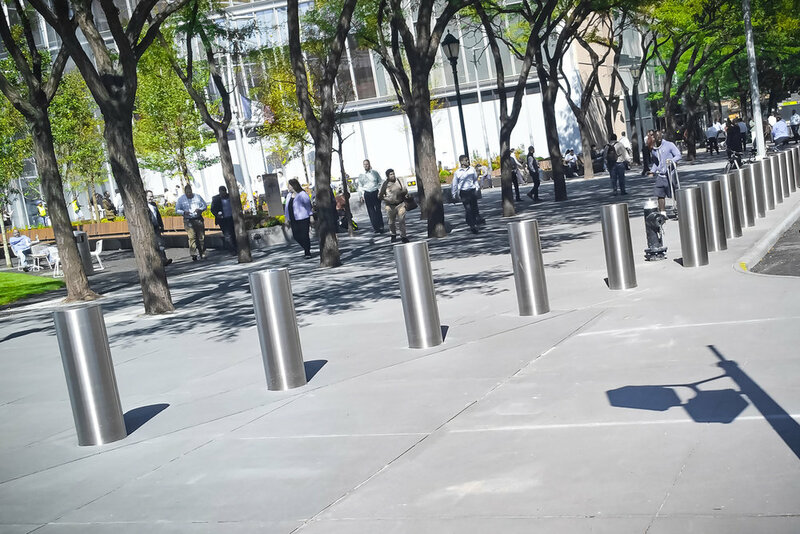 Our traveling crew of installation experts can construct your bollards on-location and complete the project to your exact specification with no hassles. We handle your bollard needs from steps A to Z! 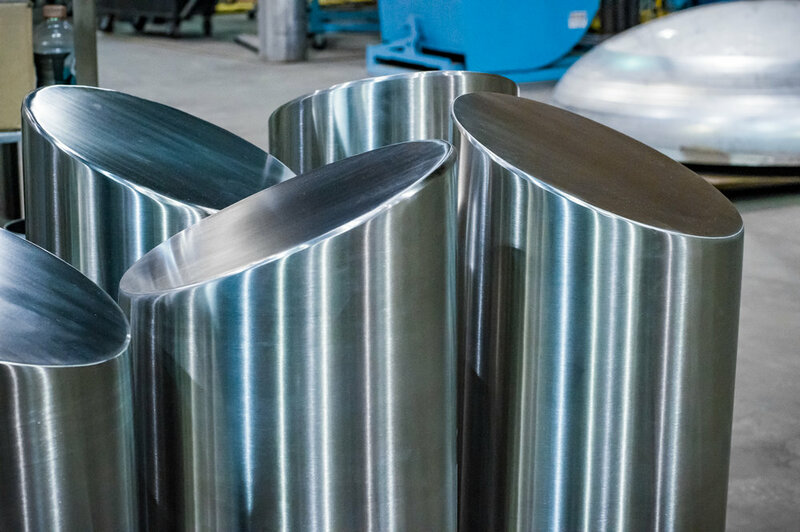 We help customers create unique applications for architectural stainless steel, every day. 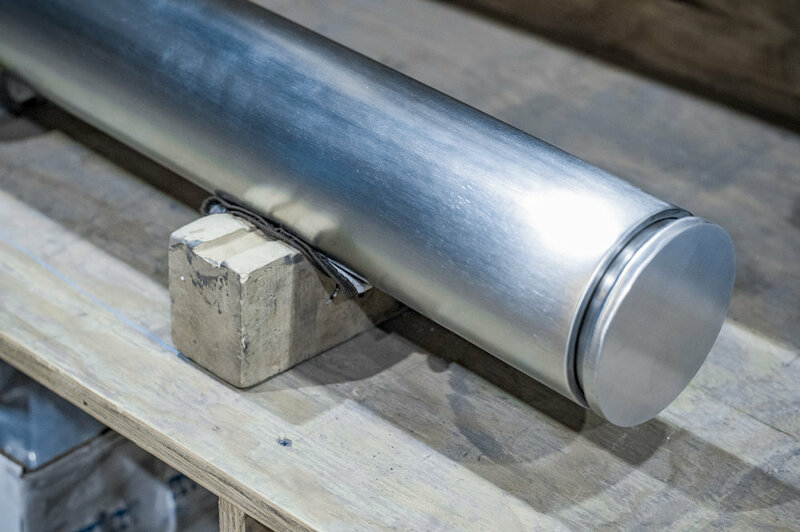 If you need a specially designed bollard, cover or sleeve, contact us with your prints to receive a quick quote with pricing and lead times. Any of our above designs can be altered to your specification, or redesigned with your requested variations. 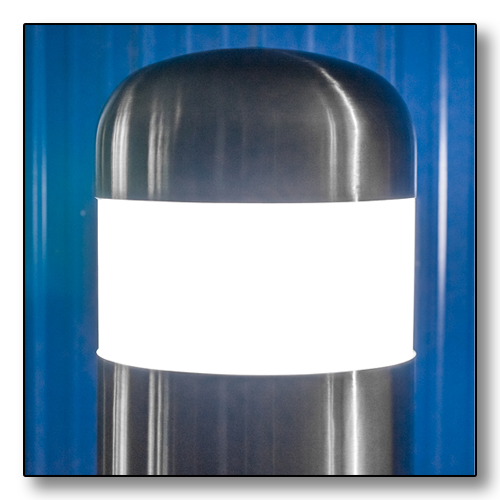 Click on the images below to see an assortment of our bollard products. Ask us about our brand new style of locking door access bollard covers! Conceal electrical outlets, switches & more to be easily reached by personnel. We excel at creating customized products for each unique client. Our top-notch architectural fabrications and installations are always attracting new clients and industries, and we're certain that with our versatile capabilities, we can help you with your projects. Get in touch, and let our expert team of metal crafters help you build something brilliant.